Indulge in the supreme delicacy of authentic Japanese food at Tokyo Sushi. Established in 2016, we have been making Japanese food with utter precision. 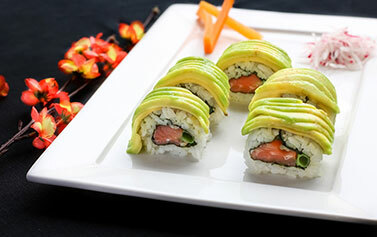 Our top dishes to devour are Grilled Salmon Avocado Futomaki, Chicken Teriyaki & Avocado Uramaki, Grilled Salmon, Avocado Uramaki, Grilled Chicken Teriyaki Over Rice, Grilled Salmon Avocado Futomaki, Tokyo Special Yellow Dragon Roll, Oh My God Roll. 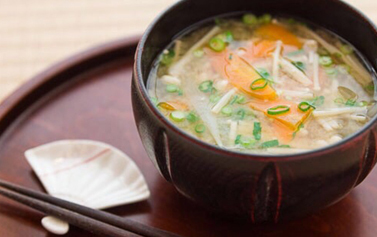 If you are a Japanese food fanatic, you are sure to drool on these names. Come dine at Tokyo sushi where you will be taken to the streets of Tokyo with ambience and food. You can choose to dine in or order your takeaway via ordering Japanese food online in Islington. We serve in N1, N19, EC1, EC2, N5, N19, N7. You can either choose to have a delivery or collection. We have lucrative offers upon online ordering. Claim your offer now and enjoy delicious Japanese food in North London. Delicious and fresh sushi and very good portions. The crunch in the tuna and prawn katsu rolls was a nice touch! Very fast and friendly delivery. Thank you! This sushi restaurant had the best service I have received in a while. Polite, helpful staff who take a pride in being clean and delivering great food. We've become regulars - fish is fresh and chicken katsu curry is a good portion. Best Sushi in London. The service was quick and the staff are incredibly sweet! Inside filling with sesame seeds, served with special mayo, with wasabi, ginger & soya sauce inside out roll with filling. Topped with sesame seeds served with wasabi ginger & soya sauce. Inside out roll with fillings. 10 Pcs. Sheared salmon mango with cream cheese inside topped with mango, crunch & sweet sauce served with wasabi, ginger & soya sauce.